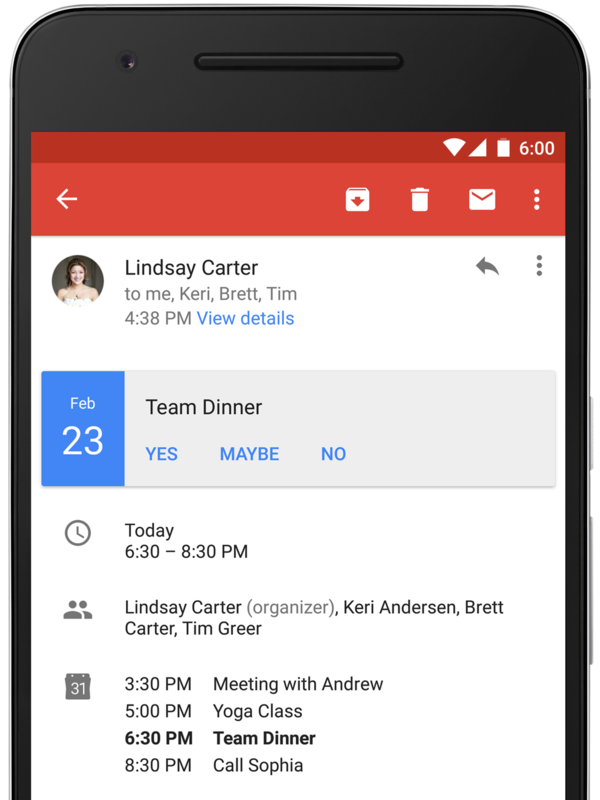 These days, more than two-thirds of all Gmail users check email with their phones, so having a really amazing mobile experience is more important than ever. That’s why today, we’re introducing two new Android features to help you manage your inbox on the go: rich text formatting and instant RSVPs. 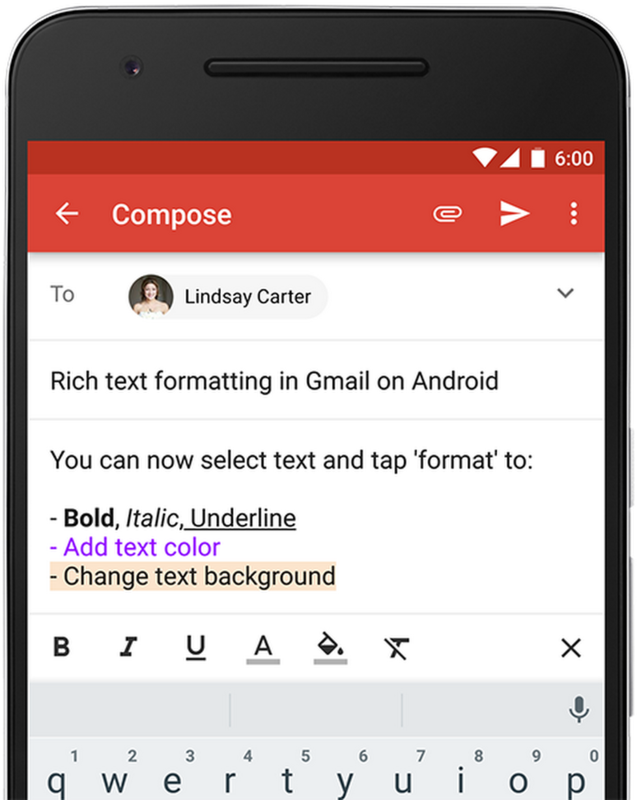 Now you can add bold, italic, underlined, colored and highlighted text to your email—all from inside the mobile app. These new options are great for making a point or emphasizing what’s important.